Have you ever stopped to think about just how much we bring into our homes from our adventures outside? Even just with the general dust and dry soil that we track in from walking around outside, we bring a lot of things into our homes. If you have area rugs, they have been collecting all of this soil for you. If you aren’t proactive about vacuuming, this dry soil can cause a lot of damage to the delicate wool fibers of your area rug! Flat weave rugs from the American Indian tribes, Mexico, or Persian origin are beautiful and quite popular because of it! Unfortunately, these rugs also bear the brunt of having dry soil ground into them day in and out. Dry soil will damage these delicate fibers much more easily than a rug with a thick, dense pile. AND IT WILL HELP PROLONG YOUR RUG’S LIFE. What kind of vacuum should you use? A canister vacuum or an electric sweeper (from Bissel or Shark) are the best for flat weave rugs. These provide just enough suction to lift the dry soil from your rug while being gentle enough to damage the fibers. You should NEVER use an upright vacuum that has a beater bar! The beater bar is far too aggressive for your delicate flat weave rug and will cause unnecessary damage. Vacuum your rug from side to side, going along the width of the rug and taking care to avoid the fringes and side cords. If you have the extra time, using the upholstery tool is a great way to give you extra control over the vacuuming process. Soft brushes will also help in helping to protect delicate wool fibers when vacuuming. Of course, vacuuming alone is not sufficient to keep your rug looking its best! Your area rugs should be professionally cleaned by someone like Arizona Oriental & Specialty Rug Care every 1-3 years depending on how much activity your home has. 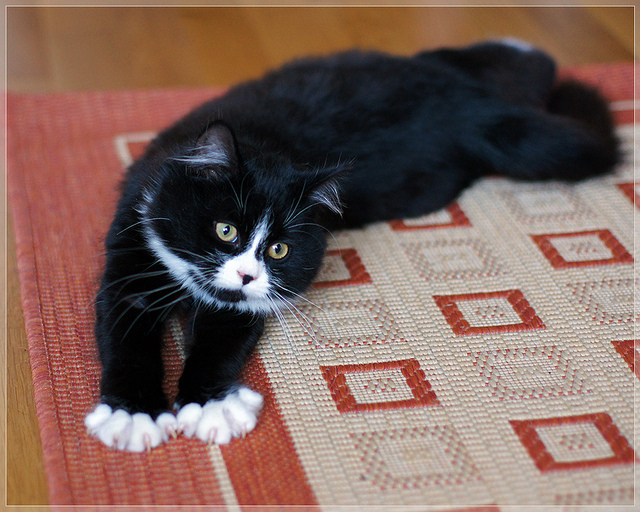 Never let dry soil accumulate on your rugs to the point that they become damaged or excessively dirty looking! A rug that LOOKS highly soiled likely has permanent fiber damage. Give Arizona Oriental a call today! We can help you maintain & preserve your beautiful rugs!